Rt Rev James Jones, Bishop of Liverpool, had chaired the Hillsborough Independent Panel. He spoke about its findings and more generally about the 1989 Hillsborough tragedy, in which 96 men, women and children lost their lives. 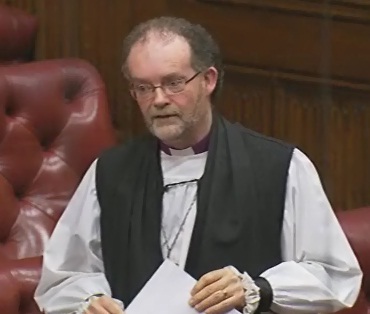 The Lord Bishop of Liverpool: My Lords, I thank the Minister for the clarity of his exposition of the reasons why we need the two clauses in the Bill. It is a great privilege to be able to speak in today’s debate. With your Lordships’ agreement, I would like to take the opportunity to speak more generally about the Hillsborough tragedy and, in particular, about the work carried out by the Hillsborough Independent Panel. It was a humbling honour to be entrusted with the task of chairing the panel. I also declare an interest. As the Home Secretary announced in another place on 22 October, she has asked me to act as her adviser on Hillsborough-related matters and I was happy to accept that invitation. She was particularly keen that the principles that the panel had established in terms of engagement and consultation with the families should not be lost. In this role, I am very aware of how the families of the 96 and the survivors are following closely the different judicial processes and are understandably anxious that the momentum established by the panel’s report is not lost. The 1989 Hillsborough disaster was Britain’s worst sporting tragedy. Ninety-six men, women and children lost their lives, many were injured, and the effects of the tragedy have been felt by many more: the relatives of those who died; the survivors who experienced the horror in pens 3 and 4, or who were elsewhere in the ground on that day; and those members of the emergency services who helped the dying and the injured. There have been, over the years, a judicial inquiry, an inquest—at the time the longest-running inquest in English legal history—scrutiny of evidence carried out by a senior judge and a private prosecution. However, despite all these inquiries and investigations, the families have always felt that the truth about Hillsborough had never been told. Instead, they felt and believed that the truth had been obscured. As Bishop of Liverpool, it became apparent to me that a deep wound continued to exist within the community and it was on the occasion of the 20th anniversary in 2009 that the anger and frustration that had built up over the years was vented at the then Secretary of State, Andy Burnham. I was present and presided over the act of remembrance, which was attended by more than 30,000 people. Mr Burnham was visibly moved by this outpouring of anger, and it was a great credit to him—for this, along with other noble Lords, I pay him huge tribute—that he went back to the Government and the idea of a full-document disclosure process was developed. Discussions took place over the next few months within the Government involving a number of prominent MPs, including Maria Eagle and Derek Twigg. Representatives from the Hillsborough Family Support Group, the group that represents the largest number of bereaved families, were also involved in these discussions. I pay particular tribute today to the bereaved families for their strength, dignity and fortitude, and their persistence in pursuing the truth. Without that persistence, it is unlikely that the work of the panel would ever have taken place. The Hillsborough Independent Panel was established in January 2010. I place on record my thanks to my fellow panel members for their dedication. Each of them brought to bear their unique knowledge and expertise in a quite remarkable and exemplary manner. I also put on record the debt of gratitude that I and all those associated with the panel owe to Ken Sutton and his team of civil servants who formed the secretariat. They are the finest example of the British Civil Service. At the outset, we had defined terms of reference, and these established three broad objectives: to oversee the disclosure of the documents to the maximum possible degree, initially to the families; to report on our work, outlining the ways in which the information disclosed adds to the public understanding of the tragedy; and to make recommendations about a permanent Hillsborough archive. The panel met for the first time on 4 February 2010. That meeting was significant. Rightly, it took place in Liverpool, and it was at the very start of the meeting that for the first time the panel met representatives of the three family groups: the Hillsborough Family Support Group, the Hillsborough Justice Campaign and Hope for Hillsborough. Meeting the family groups for the first time in this way and listening to their views provided the panel with a sense of unity and common purpose that endured throughout our work. Enshrined in the panel’s terms of reference and central to its work was the need to consult the bereaved families. This we did. We also met with those families that were not part of one of the three representative groups. Perhaps I could add here that, during the panel’s work, the families said to me on more than one occasion that this was the first time in 20 years that they were being listened to and taken seriously. That sentiment has given me much cause for reflection on some of our judicial processes that, by contrast, seem to distance the very people whom they are intended to assist. The scope of the disclosure process was significant and complex. It covered documentation held by central government, local government, other public agencies and some private bodies relating to the events of the Hillsborough tragedy and its aftermath. Spanning two decades, this necessarily included material that was produced before the tragedy occurred in 1989 and extended to 2000 and the private prosecution of former Chief Superintendent Duckenfield and Superintendent Murray. The panel developed a system for cataloguing and archiving relevant material, based on the principle of maximum possible disclosure with minimal redaction. We identified a wide range of relevant organisations, and the process involved us reviewing more than 450,000 pages of material from 85 separate organisations and individuals. The material was subject to analysis and research so that it could be considered in the context of the panel’s report. Throughout, the panel has been guided by the fundamental principle of “families first”—in other words, the bereaved families would be first to see the report and the disclosed material. As chair of the panel, I am grateful to all who accepted that principle. The panel’s report and the disclosed material were made available to the families on 12 September in Liverpool’s Anglican cathedral. This was a very moving occasion. Those of us on the panel and from the secretariat who were present felt privileged to be with the families on that day. The cathedral protected the dignity of the families, which had so often been at risk over the previous 20 years. It provided a safe place for them to hear and absorb what we knew would be for them traumatic information. It allowed them to regain their composure before being exposed to the world’s media, and above all, it did this within the sanctity of a sacred place where they could remember and honour the 96. The disclosed documents show that multiple factors were responsible for the deaths of the 96 victims and that the fans were not the cause of the disaster. It is also clear from the documents that the seeds of the disaster were sown as early as 1981, when warnings went unheeded. The disaster should never have happened. The deficiencies at the Leppings Lane end of Hillsborough, the end occupied by the Liverpool supporters, were well known. Overcrowding had occurred at the turnstiles in 1987 and on the terrace of the equivalent FA Cup semi-final match in 1988. The risks were known and the crush in 1989 was foreseeable. The scope of responsibility for the tragedy extends well beyond the role of the South Yorkshire Police. From the documents provided to the panel, it is clear that the crush at the Leppings Lane turnstiles outside the stadium was not caused by fans arriving late for the kick-off. The turnstiles were inadequate to process the crowd safely and the rate of entry was insufficient to prevent a dangerous build-up outside the ground. The documents do not detract from the conclusion of the judicial inquiry at the time that there were police failures, but for the first time the documents reveal the extent of the shortcomings in the emergency response. The ambulance service’s failure fully to implement the emergency incident plan is thrown into sharp relief by the disclosed documents. The panel’s report reveals that the medical evidence from pathologists, who had conducted post-mortem examinations on the deceased, was central in establishing a picture of a single, unvarying pattern of death within a few minutes of crushing. This evidence was the basis for the assertion by the coroner and others that the outcome was predetermined from an early stage for all who died. This in turn underpinned the imposition of the 3.15 pm cut-off on the generic inquest and the repeated assumption that the emergency services’ response could not have helped. The panel’s access to all the relevant documents has confirmed that the notion of a single, unvarying and rapid pattern of death in all cases is unsustainable. Lives could have been saved. It is evident from the disclosed documents of the multiple investigations that, from the outset, South Yorkshire Police sought to establish a case emphasising exceptional levels of drunkenness and aggression among Liverpool fans, alleging that many arrived late at the stadium without tickets and determined to force entry. In seeking to make this case, South Yorkshire Police went as far as to vet the written statements made by its officers. Once vetted, changes were made. As we have already heard, the panel found that 164 statements were altered significantly. Of those, 116 were amended to remove content that was unfavourable to the police, including on its lack of leadership. The final chapter of the panel’s report looks behind the media headlines to the origins, promotion and reproduction of unsubstantiated allegations. Drawing on papers provided to the panel by the Sun newspaper, the panel is able to explain the background to the stories that appeared in a number of papers at the time. The documents show the role played by a local news agency in Sheffield, but also the part played by a local MP and a number of police officers. I hope that whatever emerges as the result of Lord Justice Leveson’s inquiry will be tested against the experience of the Hillsborough families and survivors. Misrepresentation and distortion by the press can endure for a generation or more. The press should be accountable not just to its readers but to an independent body that inspires confidence that truth and justice will be the benchmarks of a free press. The panel has been enormously encouraged by the cross-party consensus and by the overwhelming reaction of support to its report and publication of the disclosed material. It is right that the publication of the panel’s report and the disclosure of the material should now allow us to move from truth to justice, a phrase which was coined by the Prime Minister in his Statement and echoed in this House today, but justice, for me, is making sure that the various investigations that are now taking place—and they are to be welcomed—allow the law to take its proper course. The panel interrogated documents, not people. Organisations and people who may be the subject of allegations need now to be given the opportunity to respond in a proper manner, for justice is about process as well as outcomes. There have already been speeches from the Government and Opposition Benches in support of the principles of this short Bill. I will therefore not add to them, other than to say that I welcome any proposal which takes forward the panel’s work in a correct and proper manner. I think back to the day when it was announced that I would be chairing the Hillsborough Independent Panel. I was asked what I thought would be achieved by the disclosure of the documents. I replied, not knowing fully the impact of my words, “Truth has its own pressure”. That is an article of faith that I believe generally. In the context of Hillsborough, it is something that I now believe specifically, not least in the week that the Attorney-General has been persuaded by the disclosed documents to make application to the High Court to quash the inquests of the 96. In conclusion, I am grateful to your Lordships’ House for allowing me the opportunity to speak more generally about Hillsborough and, in particular, about the work of the panel, its context, the content of its report and the consequences. Hillsborough was a national tragedy, and it is right that the events there and in the aftermath should never be forgotten. The names of the 96 victims of the tragedy are publicly remembered each year at the annual memorial service at Anfield but, as we have already heard, the families, friends and survivors have to live with what happened every day of their lives. The sad fact is that it has taken 23 years to get to the point we have reached today. “The whole point of justice consists precisely in our providing for others through humanity what we provide for our own family through affection”. If members of our family had died on 15 April 1989, we would not have wanted to wait 23 years until truth could call out for justice. If we can put ourselves into the shoes of the Hillsborough families, then the journey of justice must not now be a long and winding road. The families know that justice delayed is justice denied. The panel’s work is now complete; we owe it to the memory of the 96 to ensure that the next stage is done in a just and timely manner. In short, the journey from truth to justice must itself be just in order to deliver true justice for the 96. Rt Rev James Jones served as Bishop of Liverpool from 1998, and as a Lord Spiritual from 2003, until his retirement in 2013. Whilst in the House of Lords he led for the Bishops’ Benches on criminal justice (being Bishop for HM Prisons); the environment and media. He served on the Lords Select Committee on Communications from 2010-12 and was vice-chair of the All Party Group for Women in the Penal System. As well as chairing the Hillsborough Independent Panel, Bishop James also chaired the Independent Panel on Forestry, established in March 2011 by Government to advise on the future direction of forestry and woodland policy in England.